The energy consumption in the buildings sector is one of the highest, and so they provide us with a huge opportunity for energy savings. In India, experts say that close to 70% of the buildings that will exist in 2030 are yet to be built. The ambivalence in that statement is quite natural, as the task is daunting and at the same time comforting, since the opportunity exists to make those upcoming buildings as green buildings, right up front. A building is called “green building” if it is designed and constructed in an environmentally responsible manner and runs in an energy efficient way, throughout its entire life-cycle. This includes the construction, building materials, processes, renovation and most importantly the operations and maintenance of the building. The main strategies to make an existing building as green includes, reduced energy consumption, water conservation, recycling waste, conserving natural resources and providing healthier spaces for occupants. With our energy demand outgrowing current production, I’ll be focusing mainly on the aspect of reducing energy consumption. As per Indian Green Building Council (IGBC), there are more than 4.4 billion sq. ft. of green buildings registered with them. Green buildings as a movement has started in India, and today we see all types of buildings are going the green way be it, offices, residential, airports, SEZ’s, banks, IT parks, hospitals, factories, schools, etc. But still, we have a long way to go. Many architects, builders and consultants, are using and promoting the concepts of green buildings and leveraging it as their core value proposition. The more popular it becomes, the less selling it would need. As I always say, for any concept to gain momentum, we need awareness at every level and we need it fast. So, by talking about the benefits of a green building, we can fasten the process of adoption. Some of the key benefits of having a green building are increased rental rates and asset value, reduced risk of depreciation, higher tenant attraction & retention rates and reduced energy & operating costs. These are all measurable financial values. Green buildings increase employee productivity and well-being, have lesser environmental impacts and helps organizations meet their corporate social responsibility goals. How far is this from reality? Since reduced energy consumption is one of the major benefits of a green building, let’s talk about the changing energy landscape of India. Renewable energy, especially solar, is rapidly becoming more affordable. With the convergence of information technology and building technologies, we will soon be on the path of net zero energy or even positive energy buildings. Smart grid is another reality that India is witnessing. The buildings of near future should be ready to converse with the smart grid. They would be able to manage their loads as per the demand-response programs of their power utilities. With roof-top solar, buildings can generate and store electricity, and push it back to the grid when the grid needs it most. A smart building knows how to respond to peak energy load and pull from the most renewable source of power. The myth around the high cost of green buildings is also getting busted. More and more builders and organizations are realizing that building a green building from concept to construction, is more cost effective in the long run. The voice of such builders and organizations must reach the millions who can adopt the same concepts. As per the International Engineering Consortium, only about 25% of total life cycle cost of buildings occurs during the design and construction phase. Unfortunately, this is when most of the decisions are made that will affect the performance of a building for many years into the future. Since most of a building’s cost is associated with its ongoing operations, a proper operations & maintenance schedule helps in saving a lot of energy and avoidable costs. That’s why I say that certifications do not guarantee a high-performance building, but scrupulously following the best practices of building and energy management will ensure that the building earns the right to be called as green, for a long time. The choice of equipment is another major factor which determines the efficiency of the overall building. Chillers, UPS, motors, fans and pumps, all comes with rated efficiency at particular loads, which makes it easier to take an informed decision. But if we want to make the best use of these energy efficient equipment’s, then we need to understand that metering at all levels is the sine qua non, to collect the data which can be analyzed to take correction action. Green building strategies are evolving rapidly, as people, processes and technology combine to drive innovation and create a truly sustainable future. It’s worth stressing again that ongoing monitoring, analysis and improvements drive sustained performance. 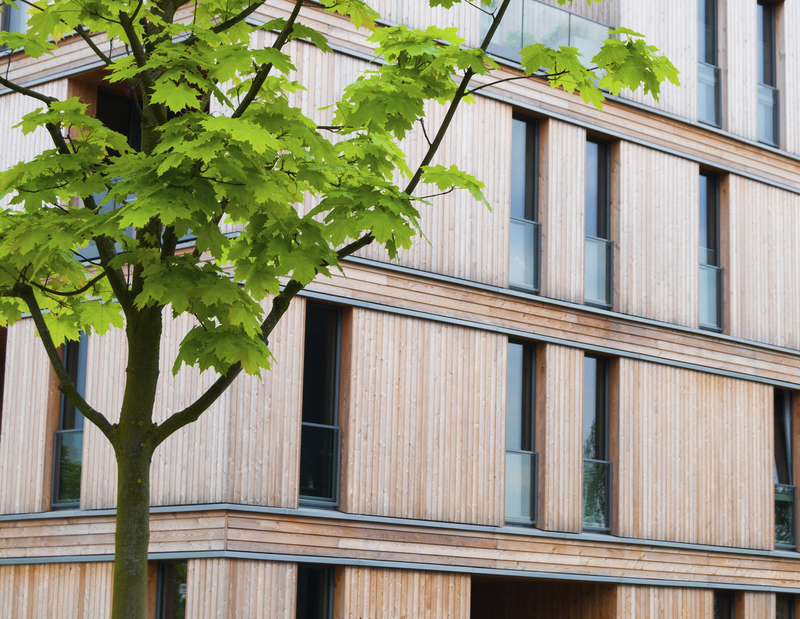 Green building pays for itself and its lower energy use increases its competitive edge. Thank you for introducing about green buildings.This blog is really informative. Hoping for more blogs on such topics..